The first and possibly most important step in any dental care plan is partnering with your family dentist to prevent common oral health concerns. At California Happy Teeth Family Dentistry, Dr. Sumity Sharma and her dedicated dental team are here to help patients with a wide array of general and preventive dental services to keep their smiles whole and healthy at every age. 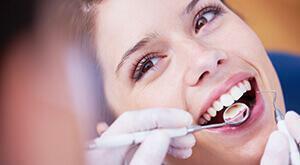 Interested in finding out more about our Milpitas, CA dentistry office? Contact our team to schedule your first preventive dentistry appointment today! 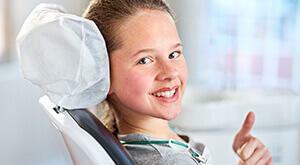 Dental checkups and teeth cleanings should be performed at least two times each year for every member of the family. These regular appointments give us the time we need to examine your smile and screen for signs of common oral health conditions. 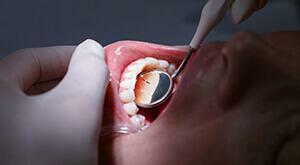 They also decrease the risk that patients will suffer more advanced oral health concerns in the future. Dental sealants offer fast, painless, and effective protection from dental decay-causing bacteria, plaque, and tartar. Every time we eat or drink, our teeth are attacked by sugary, acidic plaque that is excreted by the bacteria living in our mouths. This plaque will stick to the surfaces of teeth, weakening the enamel and irritating soft tissue, which leads to the two most common oral health conditions – tooth decay and gum disease. For kids who are still developing their oral hygiene routine and adults who are prone to decay, dental sealants may be an ideal preventive solution. We simply apply a thin layer of a clear sealant material to the surfaces of teeth. In many cases, we’ll focus our attention on the molars because they have deeper pits and grooves on the biting surfaces where bacteria and plaque are more likely to accumulate. Once in place, we use a curing light to harden the sealants into position where they’ll protect teeth for several years. Temporomandibular joints (TMJ) are the tiny, triangular joints that connect the jaw to the skull bone. These joints absorb all the daily strain of controlling every mouth movement patients make, including speaking, chewing, breathing, and smiling. Unfortunately, many patients experience painful or limited jaw movement as a result of strained jaw joints. 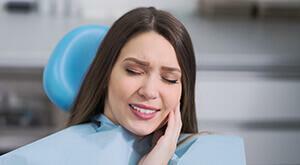 This is referred to as TMJ dysfunction or simply TMD. If you are experiencing TMD, we will begin renewing your full, painless jaw movement with some simple at-home jaw stretches and movement exercises that can help you remove unnecessary strain on these delicate joints. We will likely encourage the use of heat or ice packs to relieve pain and reduce swelling. We may also encourage the use of over-the-counter pain medications to control discomfort. If you don’t experience noticeable improvement using these methods, we may also create an oral appliance that will position your jaw into the ideal resting place during sleep. These nightguards protect your TMJ from any unconscious movements and can help you realign your bite into a more comfortable position. Periodontal disease is commonly referred to as gum disease. It occurs when plaque and tartar buildup at the gum line irritates soft tissue, and can lead to inflammation, discoloration, bleeding during oral hygiene, and other seemingly mild oral health concerns. This early stage of the disease is often referred to as gingivitis, and it is extremely common. Most patients struggling with gingivitis can see complete oral health renewal by attending professional teeth cleanings more frequently. When gum disease progresses to the more advanced form, periodontitis, patients will need more extensive treatments. We typically begin with a combination of scaling (deep cleaning and decontamination) and root planing (smoothing of tooth roots to prevent future buildup). We’ll then use oral or topical antibiotics and more frequent professional cleanings as needed to help patients maintain their healthy smiles. As a family dentistry practice, we’re proud to treat patients of all ages, but our dentist and team especially love working with young patients. Our goal for developing smiles is to help your child learn to care for their teeth so they can keep them for a lifetime. Starting at a young age, consistent dental checkups and teeth cleanings in our Milpitas dentistry practice will help your child build positive associations with visiting the dentist. We offer treatments like dental sealants that are typically recommended for young patients, and we have the experience to treat almost any dental need your child experiences while developing their primary and adult teeth. 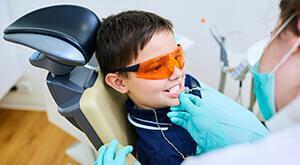 Bring the whole family to see Dr. Sharma and the friendly team at California Happy Smiles. 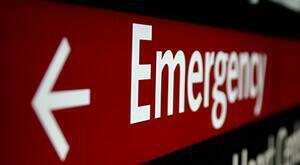 We do all that we can to see our dental trauma patients on the same day they contact our team. If we’re unable to fit you into our schedule for any reason, Milpitas emergency dentist, Dr. Sharma or one of our caring team members will talk you through at-home first-aid and pain management to ensure your comfort.